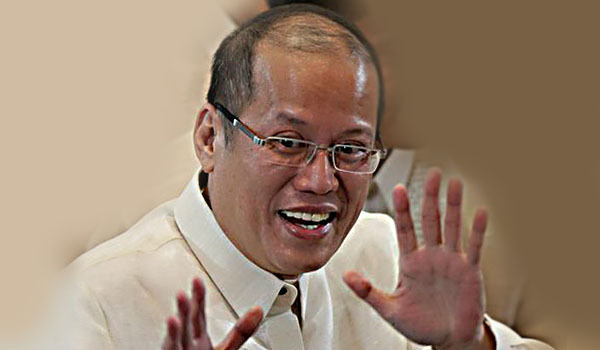 PNoy said today (10 June 2016) that “respect for each other and the laws that bind us in the community of nations” were what would make the future relations between the Philippines and China “brighter,” making the statement ahead of the much-anticipated ruling of a United Nations' PCA (Permanent Court of Arbitration) to resolve the maritime row between the two nations. PNoy also made the remarks with Chinese Ambassador Zhao Jianhua seated on stage as the Federation of FFCCCII (Filipino-Chinese Chamber of Commerce and Industry Inc.) in celebration of both 118th Independence Day and the 15th Filipino-Chinese Friendship Day. PNoy also said that “For two peoples that have lived and worked near each other for centuries, our shared future can be even brighter so long as we continue to respect each other and the laws that bind us in the community of nations, and to do our part to ensure peace, stability, and progress in our corner of the world,”. Zhao also said that “China attaches great importance in our relationship with the Philippines and has always regarded Philippines as a friend rather than foe, partner rather than rival … I firmly believe that the future of China-Philippine relations will be brighter, friendship between our peoples will be deeper, bilateral cooperation between our two countries will be more fruitful,”. China wants the Philippines to pursue bilateral talks to resolve the maritime row in the South China Sea and appears hopeful that incoming President Rodrigo Duterte would be acquiescent compared to Mr. Aquino who rallied the regional and international communities in urging China to follow the UNCLOS (United Nations Convention on the Law of the Sea). PNoy also campaigned at the ASEAN (Association of Southeast Asian Nations) to adopt a multilateral Code of Conduct in the South China Sea. Most importantly, the Philippines filed an arbitration case against China before the arbitral court to invalidate China’s so-called nine-dash line that encroached within the Philippines’ 200-mile exclusive economic zone. The Hague-based court is expected to hand down a verdict in the next few weeks.